Orvis has long been an acclaimed brand among outdoor enthusiasts, especially those who value comfort in the great outdoors while maintaining style. Admittedly, I always associated Orvis with men's clothing, but their women's selection is expansive and on trend. Like I've mentioned before, I'm on a mission to buy quality over quantity, and Orvis' fall selections definitely fit that bill. From their buffalo plaid shirts (which I snagged for myself) to their double lined quarter-sleeve tops (added those to the bag, too), I was impressed with everything. Not only does Orvis have equipment and attire of their own brand, but they also cary exclusive items from renowned brands like Barbour. They even have exclusive Barbour prints! Such a cool partnership. Since Orvis has such a wide variety of pieces, you're bound to find some fall favorites in their current collection. You can find faux-shearling vests, tribal sweater vests, silk button downs, and even cashmere sweaters. What I loved most about visiting my Atlanta Orvis store were the incredibly helpful staff. I essentially had a personal shopping experience with Christina and Candace. They walked me around the store, spoke to me about the features of each item, and helped me with sizing. They were genuinely interested in what I was looking for and were helpful every step of the way. I almost didn't want to leave! As for what I finally walked away with, you'll have to stay tuned for a future post. I'm headed with Orvis to one of their wingshooting schools. One of my BFF's and I are learning all about shotgun safety and use and getting to experience Pursell Farms in person. You won't want to miss it! 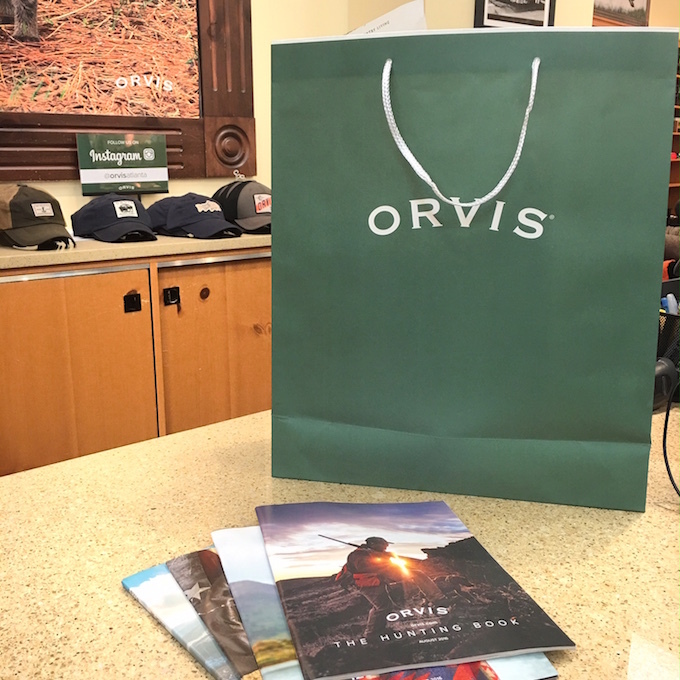 Thanks to Orvis for partnering with me for this post. While I received a gift card to Orvis, all opinions are my own.